It time to show us how you “I DIYed That” again- not just for bloggers, but for non-bloggers too! You can share your blog post here, showing off a DIY creation you made, or if you are a non-blogger, you can link up your DIY on Instagram using the hashtag #iDIYedthat. We have a few new one’s this week so make sure you check out their blogs! Jen showed us how to create a no-paint accent wall in just one afternoon. 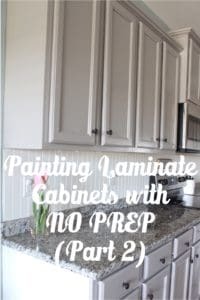 Lindsey shared how she painted her laminate cabinets with NO prep work! 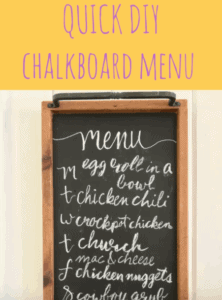 Leigh shared how to transform a boring thrift store tray into a chalkboard menu. 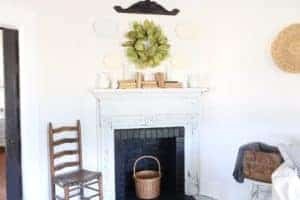 Laura transformed her fireplace into a farmhouse showpiece with this tutorial. 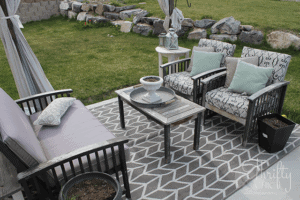 Alicia shares great tips on how to freshen up your wood patio furniture. Christina from @CGhomeinteriors on Instagram shows how she updated her outdoor bar area and it looks amazing! 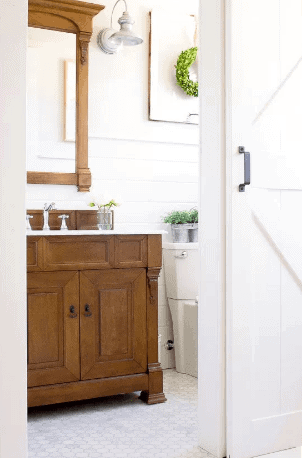 My next feature is from the blog Making it in the Mountains and she shares her final reveal of her new farmhouse powder room. Check out her post HERE. So, how do you link up? It’s super easy! Now for the fun stuff – the Linky Party! How to link up? It’s super easy! Follow your hosts of your favorite form of social media. It’s not necessary to visit other blogs, but if you see something that inspires you, go to the original source and let them know! Let’s share the love! Also, be sure to check out our features on our Pinterest Board! 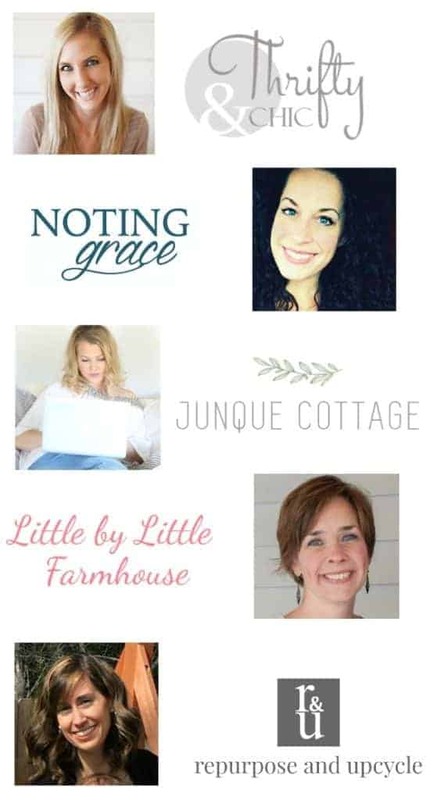 And visit the other bloggers to see who they have featured this week! Can’t wait to see what the week brings. Thanks for stopping in.